Finally, warmth! We’re consistently cruising for the next few weeks in a steady 60-something-degree bliss. I can feel the high 70’s just around the corner. I don’t know about you, but the second it hit 55 this weekend I posted up in the park with several bottles of Rosé. We’ve waited so long for this weather, mostly so we can enjoy wine outdoors. 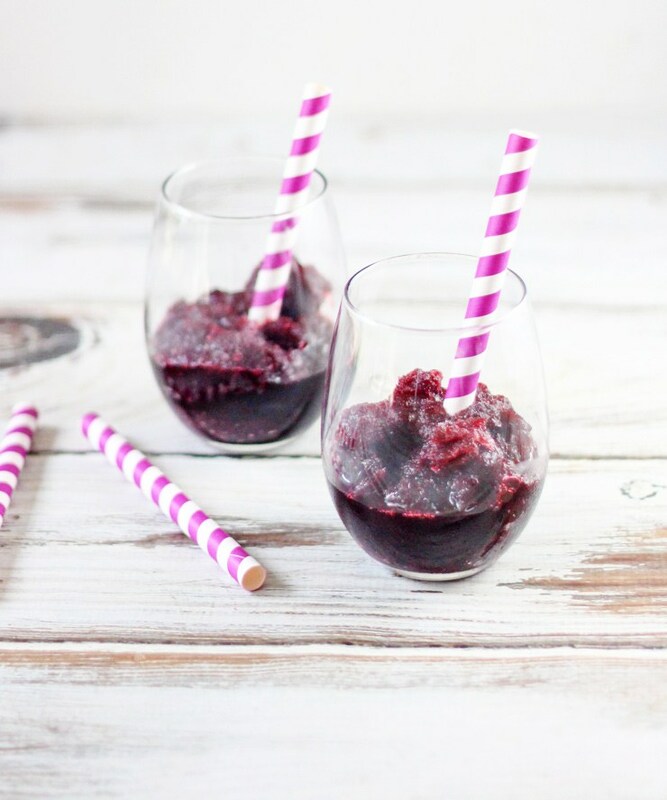 Add a twist on your favorite wines and turn them into a frozen slushie of goodness. Check out our favorite frozen wine recipes. Duh. Frozen Rosé? I’ll take a cooler full, just give me a straw. Directions: Pour a bottle of Wicked Rosé into a large bowl and freeze until almost solid for about 6 hours. Bring half a cup of sugar and half a cup of water to a boil, stir constantly until sugar dissolves. Add 8 oz of fresh strawberries, remove from heat, and let sit for 30 minutes. Scrape the Rosé into a blender, add your newly made strawberry syrup, 1 cup crushed ice and some lemon juice. Blend until mixed and continue to freeze for another 30 minutes. Frosé the day away! Who said Merlot can’t be served cold? Directions: Heat ½ cup Wicked Merlot, sugar, and blackberries in a large saucepan. Bring to a boil and cook stirring frequently until berries have cooked apart. Remove from heat and stir in remaining Merlot.Pour into ice cube trays. Freeze until well frozen, then break apart with a fork or spoon, and scoop into glasses and serve. For the days when we wish it was winter again – a cold glass of sangria won’t do the trick. But the frozen version will. 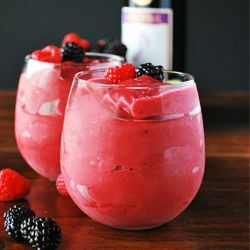 Blend a bottle of red (Wicked Pinot Noir in sangria is my favorite) a pound a frozen mixed berries, an orange, some lime juice, a generous splash of Brandy with some ice cubes in a blender. And there you have it. Try out these recipes to spice up (or cool down) your Spring time happy hours. Tip: buy the mini umbrellas, you’ll really impress your guests. 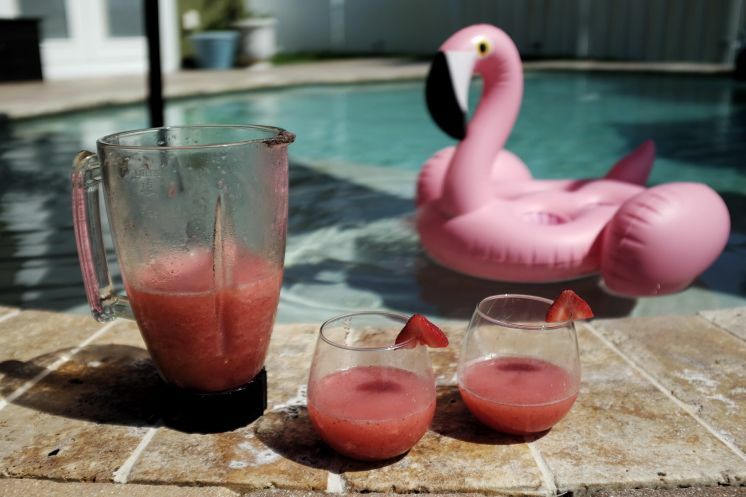 This entry was posted in Recipes, Wine and tagged blackberry merlot, frose, frozen drinks, Rosé, sangria, spring, Summer, Wine, wine slushies. Bookmark the permalink.